“Well after a long time I am back with a new project ! 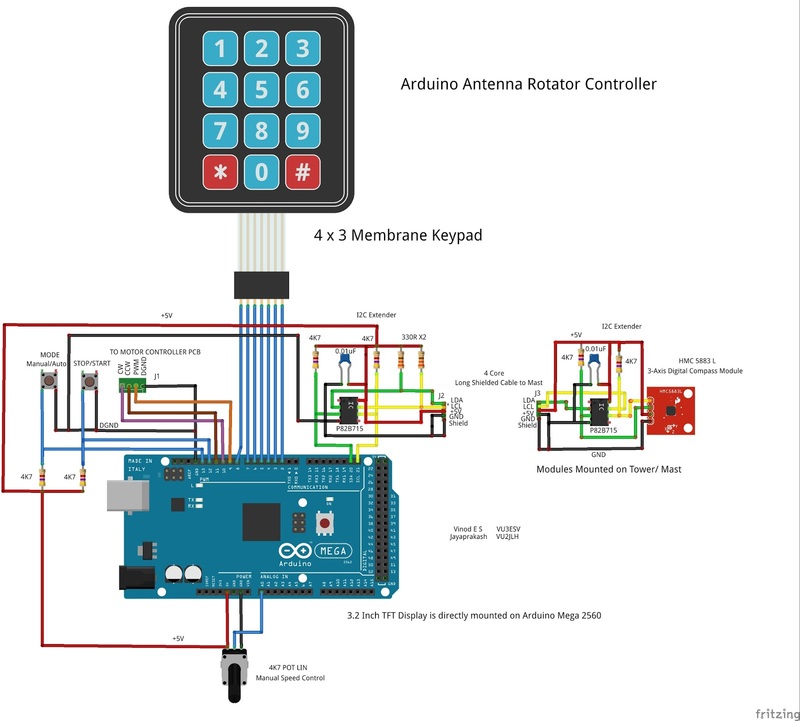 This is an attempt to build an Antenna rotator controller using Arduino Mega 2560 with a nice user interface showing the actual position of the antenna. 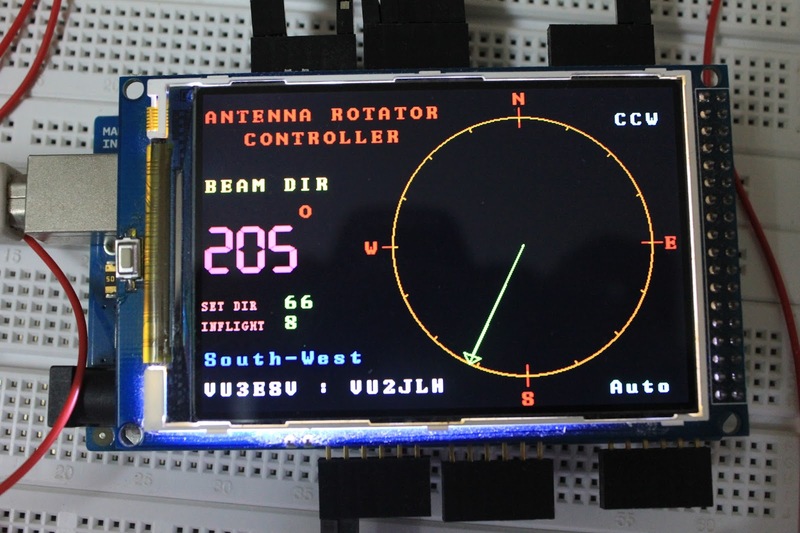 Idea of building a rotator controller is from my brother VU2JLH. 2) Auto/Manual mode operation . A potentiometer is used to control the speed in manual mode. 3) Stop/Resume inputs to pause the rotation and continue from that point. 5) 3X4 Keypad for entering the target values. 6) Inflight entry to compensate the antenna rotation due to inertia. 7) I2C extender for long cable usage between shack and antenna. HMC5883 will be attached to the antenna and a pair of I2C extenders are used between the Arduino and HMC5883 . Use of I2C Extenders allow usage of long cable between shack and antenna tower.